Being part of a long term technical support service to our client in Myanmar, the Burner modification service was skillfully completed by our project team. In early September, AlphaECC successfully carried out the load-out of steel piles and conductor with total weight up to 1,800 tons for Sututrang Full Field Development Phase I Project. AlphaECC recently delivers the largest ever built high pressure vessel to PV Gas owned Hamrong-Thaibinh project in the North province of Vietnam. 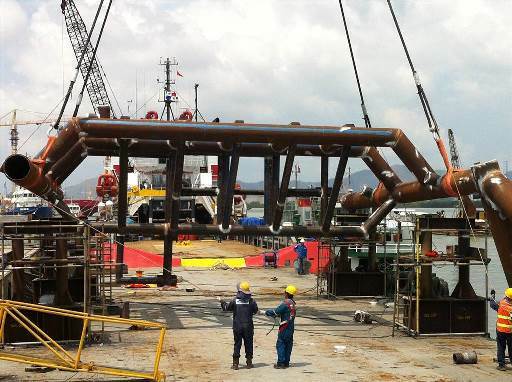 AlphaECC currently has just delivered the subsea template and boat landing structures for PTSC MC's Sutuvang Southeast project.